Move over, Mad Men. Watson has just landed an airline advertising campaign. Lufthansa has teamed up with IBM Watson Advertising to launch an AI-powered ad, a first for the airline industry. The campaign focuses on exploring a world of new possibilities in an effort to get would-be travelers off the couch and into a seat on one of Lufthansa’s planes. 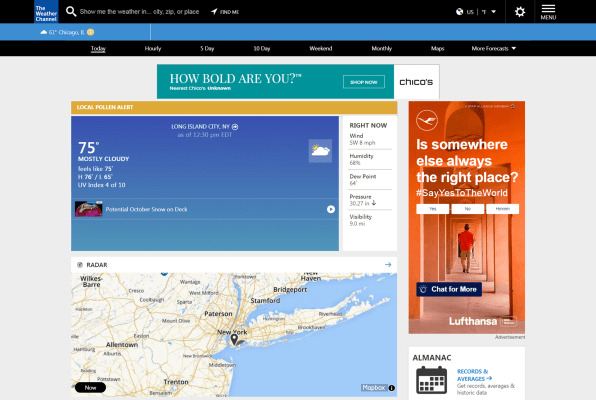 Currently the AI-powered ad campaign is running on weather.com, The Weather Channel app, and across Lufthansa’s digital advertising ecosystem. You can also give it a try on Watson Advertising’s website.